Java Corner is a perfect spot for the quick energy fix of coffee, hot tea, drinks, pastries and snacks. 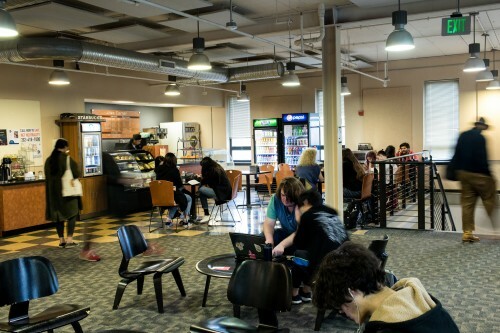 Located on the second floor of Bunting Center, Java Corner is a daytime café that focuses on local coffee, pastries, drinks and other to-go items. Great for those in a rush, it also offers a nearby sitting area for those who want to relax and recharge.